The following article by Rabbi Raymond Apple originally appeared on the ABC Religion and Ethics website on 26 May 2017. How hard it is to be alive today. 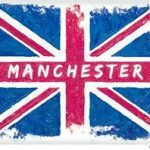 Paris, Istanbul, Brussels, London and now Manchester – evil stalks in more places than ever before, not just in the Middle East but in Europe, the Americas, even Africa and Australia. Whether the attackers are organised or lone wolves, they cause immense destruction and devastation, and are ready to lose their own lives in the process. It’s no comfort to say that history has always been full of terrible moments, nor is it helpful to say that hateful deeds can be explained or (God forbid) justified by a person’s circumstances or upbringing. Everybody has problems and perplexities, but who says that lashing out at others is the only or best way of responding? Some say that today’s terrorism is the bellicose side of a world religion. This alarms me. If religion can’t find theological space for other people’s views and conscience, it’s an insult to God. He can do without such self-appointed policemen. The horrors of evil have two categories: natural events (so called “acts of God”), and human moral evil. The first group includes earthquakes and illness. Though we conveniently attach them to God they have an earthly moral dimension – not just how and why God is involved, but whether man could have done more to improve and repair the world, and eliminate or at least lessen the tragedies. The Book of Job blames the Adversary (“Satan”) for the “natural events” which range from earthquakes and tsunamis to disease and illness. In the view of the Biblical author, “the Adversary” is not God’s enemy but in a sense one of His own agents who eggs Him on to test His supposed adherents. Is God so capricious that He is willing to play these games in which real people get hurt? Does He really condone such suffering? Since every evil ultimately traces back to God, why didn’t He make a world without defects? Why doesn’t He control the Creation? Why doesn’t He make the world safe for its inhabitants? Why does He let His creatures behave so savagely? We’re aghast. How can God be a mere spectator? How can He allow Cain to kill Abel? How can He watch wickedness flourish, apparently unchecked? How can He sit by and see millions of innocent people killed, maimed, uprooted, bereaved and bereft? Why doesn’t He trip up the people who target their fellow creatures? Doesn’t He have the power? The will? No one has the final answer. Whether or not God should have created a perfect universe, He created man – His antidote, His means of mending the torn fabric. If man causes the moral mayhem, man can fix it. A British rabbi, Solomon Levy, tried to counter the notion of Original Sin by “a parallelism of opposites,” with a thesis of Original Virtue which says that man is born with an instinct to do good. Actually it’s not a question of instinct but intellect. There has to be free will, or else man is a mere robot. There has to be free will, or else man has no power of decision. But if there is free will, God cannot prevent people making the choice for evil. If there aren’t two options – good and evil – free will is impossible. If man is to be a free agent, logic requires him to be able to cast a vote for evil, however tragic the consequences. Yet the vote for evil is neither inevitable nor inexorable. Man is capable of heeding the Divine will and ethics, bypassing evil inclinations, and opting for righteousness and compassion. Choosing good instead of evil is the glory of being human. Maybe philosophers can afford to be uninvolved, making the problem a mere abstract intellectual exercise in formulating theories of evil. Waxing philosophical is highly interesting and mentally challenging, but it does not relieve the pain of real human beings. We have to distinguish between explanations and responses. Until we have the explanations we have to respond and try to handle the suffering. We can’t leave it all to God. We dream of Him stretching out His hand to scoop us up. If that doesn’t always happen, He can help us to rise above the suffering and rob the evil of its power. When I ask which is more natural, horror or heroism, I think of Michael Zylberberg, one of my Hampstead congregation in London in the 1960s. He knew what Biblical verse he wanted as a prelude to his book and asked me for an English translation. I suggested, “Had your law not been my delight, I would have died in my affliction” (Psalm 119:92). I never told Zylberberg he was a hero, but I should have. The world has cheapened human life so greatly that we no longer recognise true heroism. There seems to be less goodness than ghoulishness around us. But there is still such a thing as goodness and altruism, whatever its mathematical ratio in actual deeds, and those with moral courage should never minimise their moral power. No one dares dismiss the negative forces in history, but nor should we be fixated on a lachrymose world view which sees only tears, trauma and tragedy. True, in times of horror there is too much moral neutrality – called by Hannah Arendt “the banality of evil” – but that’s not the whole story. There is also counter-testimony, often unsung because negatives have more media appeal. There are acts of horror – and acts of heroism. Samuel Pisar says that “man is capable of the worst as he is capable of the best.” Turning his words around, man is capable of the best as he is capable of the worst. There is a legend about a person who comes to a crossroads and finds the way blocked by a massive rock. There’s no way to go ahead, not even a way to go around the obstacle. Petrified, the man can sit and weep. But that’s not what he does. He begins to chip away at the rock. Little by little, after immense effort, he creates a narrow passage to enable him to squeeze through. Terrorist perpetrators cynically, callously, cruelly build up the threatening rock. Those who tend to the victims bravely chip away at it. So do all those who believe what the Biblical prophets say, that everyone has the right “to sit under their vine or fig-tree with none to make them afraid” (Micah 4:4). This entry is filed under Articles, Evil, G-d, War & Peace.